A dual-action exfoliating cleanser containing Lactic Acid that smoothes, retexturizes and is designed to help achieve ultra-clean skin. 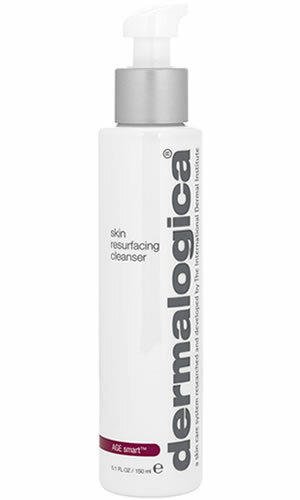 Use of this cleanser helps prepares skin for penetration of AGE Smart active ingredients. Contains no artificial fragrance or color. Following the application of PreCleanse, lightly lather in hands and apply to damp face and throat morning and evening, massaging with light, upward strokes for at least 30 seconds, avoiding the eye area. Reduce to one use per day if any sensitivity develops. 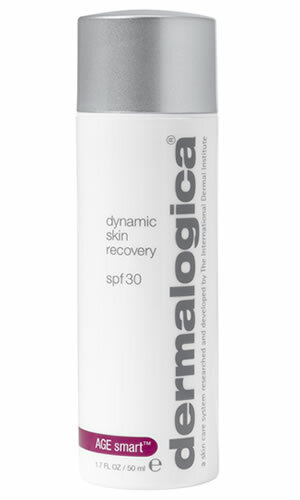 Follow with Dynamic Skin Recovery SPF30 when used in the morning. Designed to deliver super-smooth skin. Convenient two-in-one product to help thoroughly cleanses and exfoliates skin in one easy step. Can help retexturizes skin suffering from visible signs of aging by accelerating cell turnover. Fortifies skin's natural moisture barrier. Alpha hydroxy acid preps skin for maximum penetration of active ingredients. Also helps hydrate and brighten. Lactic Acid: an alpha hydroxy acid that smoothes and retexturizes. Tocopheryl Acetate (Vitamin E): a rich antioxidant vitamin that improves skin smoothness and softness. Rose Flower Oil: soothing; helps calm skin sensitivity. 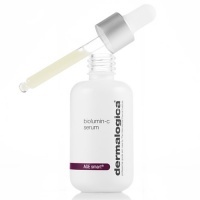 Dermalogica Age Smart Biolumin-C Serum helps to deliver brighter skin from within, with a vitamin c packed formula. A high-performance Vitamin C serum that works with skin’s own defenses to brighten and firm. Encourage firmness, elasticity, and hydration while helping to defend against the primary causes of skin aging with this medium-weight, emollient daily moisturizer with SPF50. Dermalogica Stress Positive Eye Lift is an active, cooling cream-gel masque that is designed to energise skin to help reduce visible signs of stress. It can be used as a daily treatment or eye masque. Help combat visible lines around the eye area with this powerful firming complex of skin-rebuilding antioxidant vitamins, protective Silicones, and Red Seaweed Extract. A refreshing antioxidant shield with designed to deliver flash-firming properties which can help to improve skin texture, fight damaging free radicals and intensely hydrate alipoid, dehydrated skin.